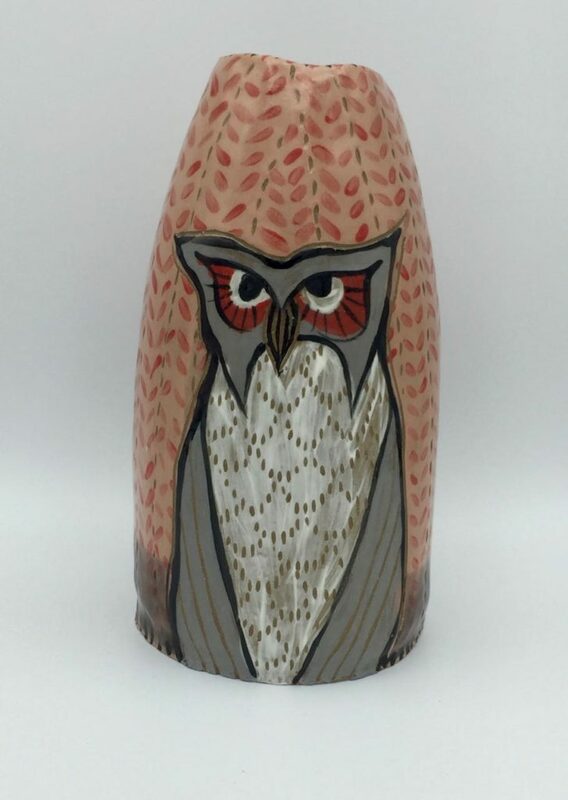 Starting March 10, the Milwaukee Art Museum will celebrate local art treasures. 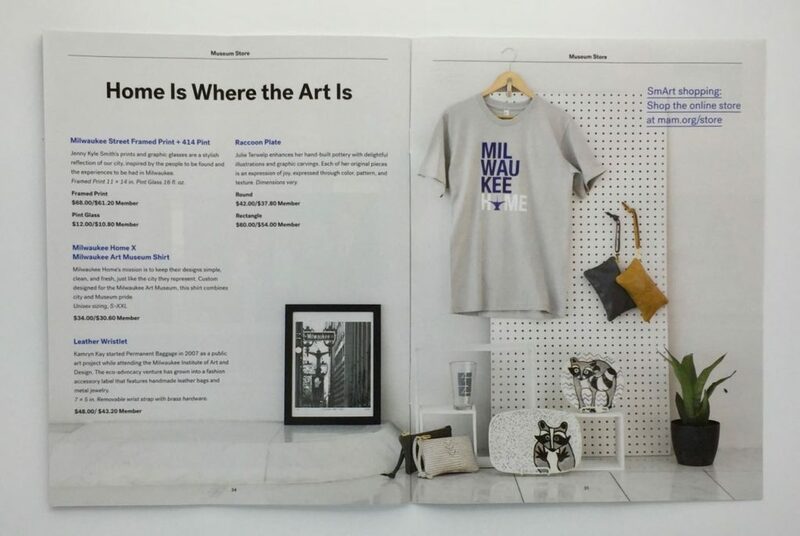 Their Milwaukee Collects exhibition focuses on our community’s personal perspective on art. 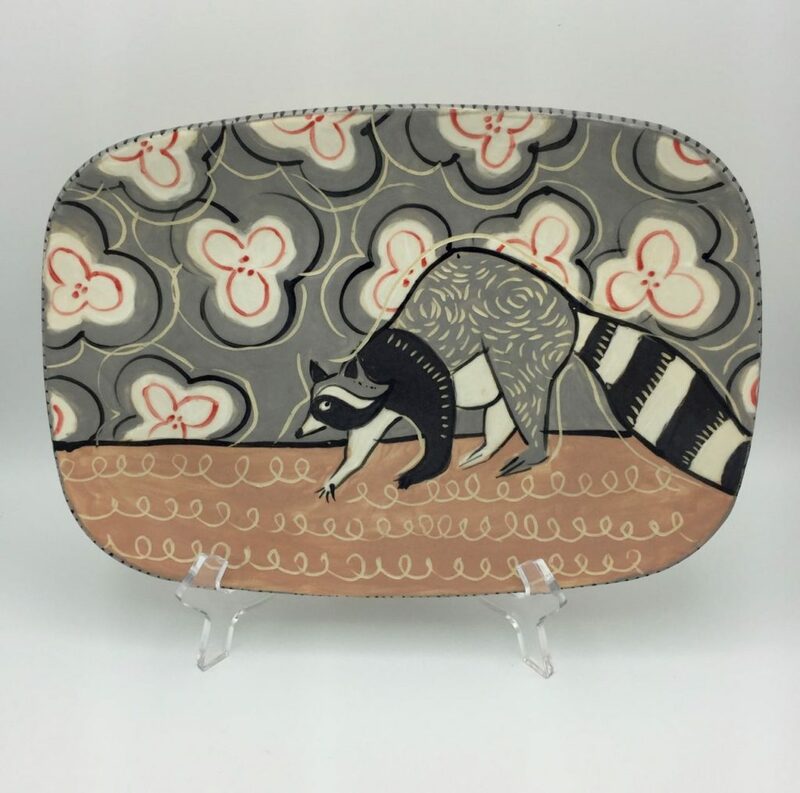 In conjunction with this exhibit, the gift shop will be featuring local artists’ work. 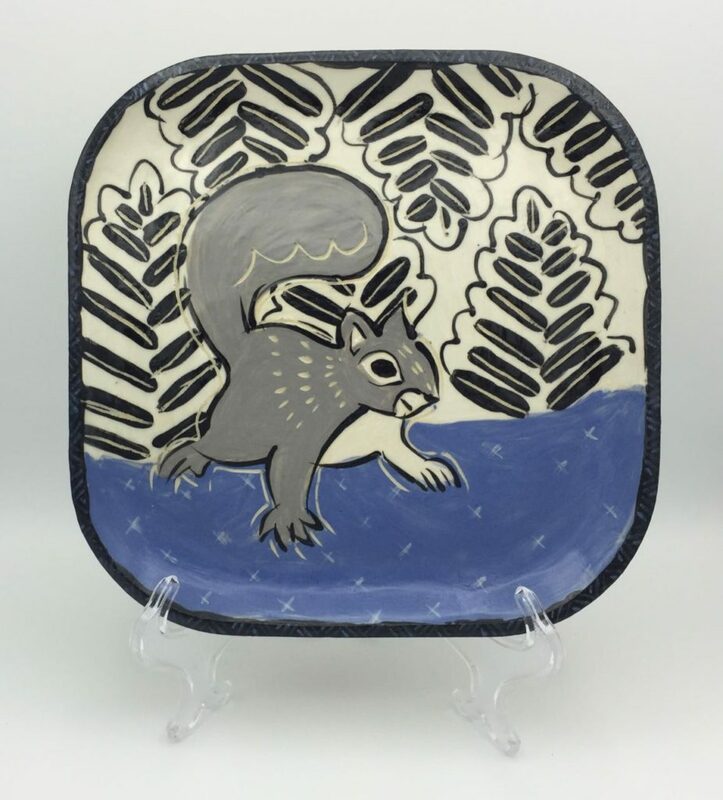 I am thrilled to have my illustrative pottery included! 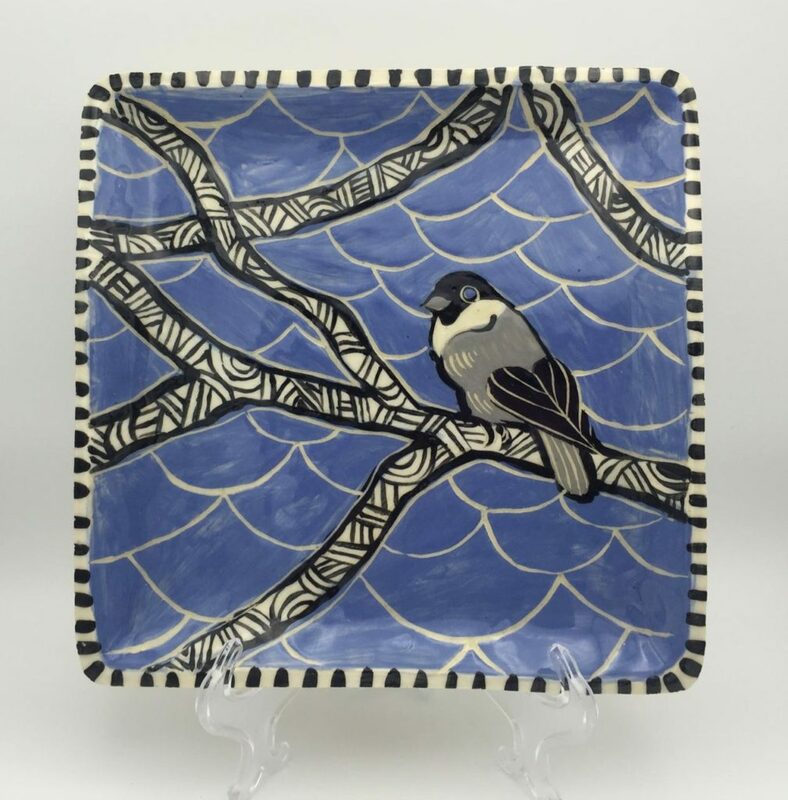 Come by the gift shop and add my one-of-a-kind pieces to your own art collection. 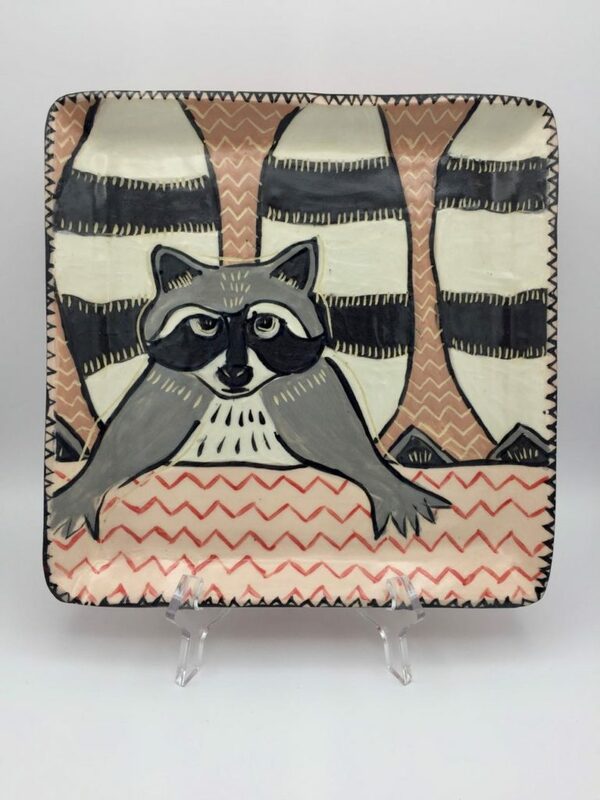 My raccoon plate and platter were included in the Feb-May issue of the member magazine. 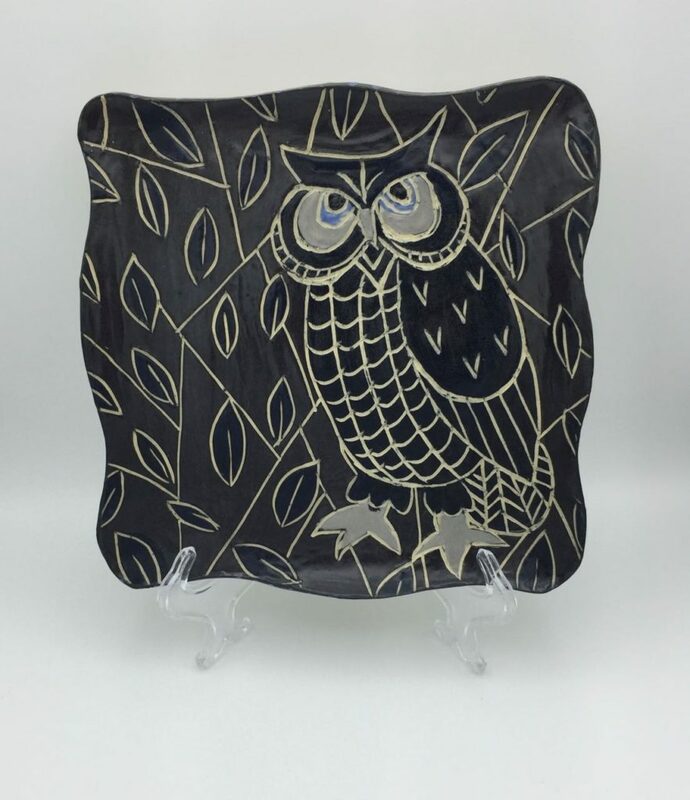 Below are selections of my pottery pieces using black, gray, and blue slips or underglazes. 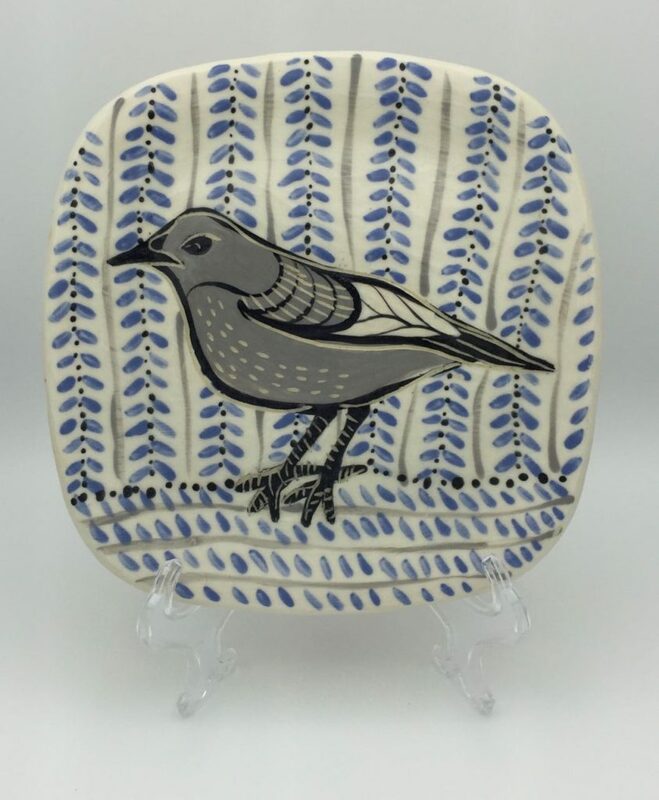 Each piece is hand-built using white clay and hand-painted with one of my original designs. 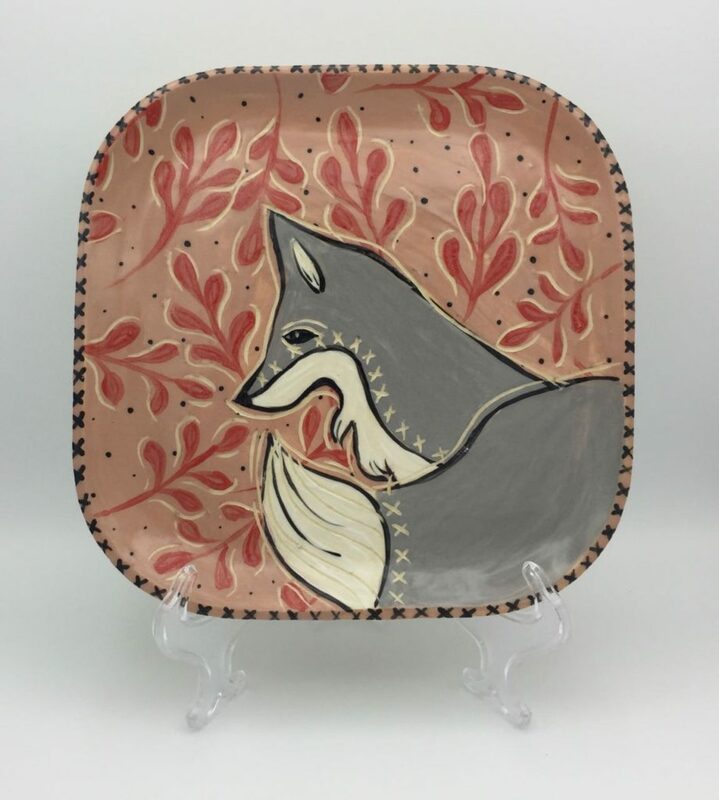 Below are selections of my pottery pieces using black, gray, and coral slips or underglazes. 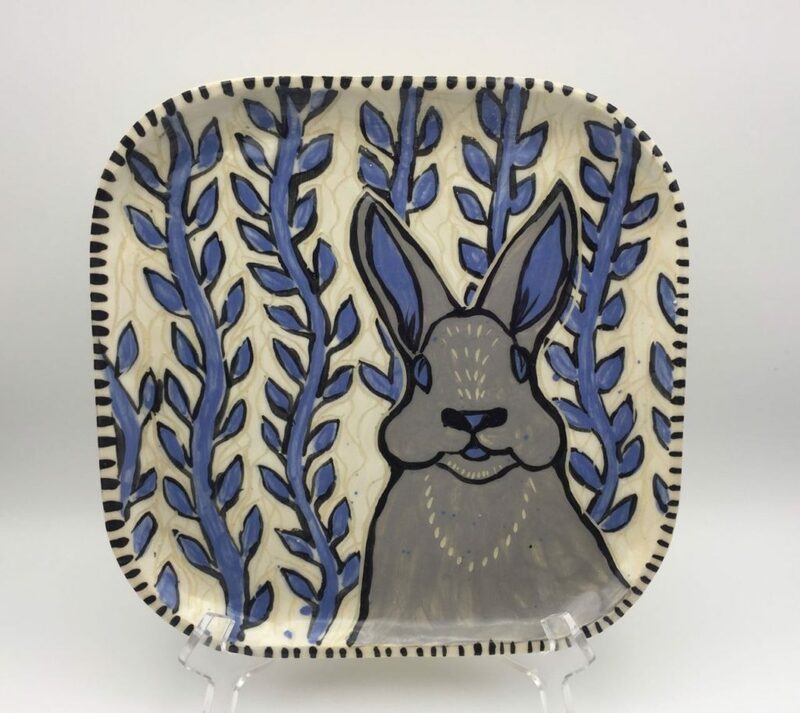 Each piece is hand-built using white clay and hand-painted with one of my original designs. 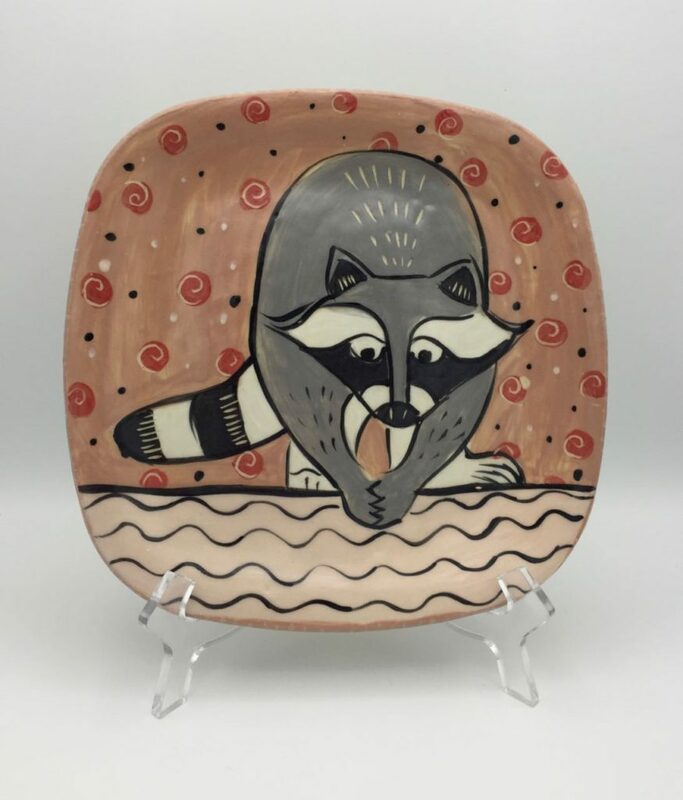 Hidden Raccoons platter. Can you see them?